Did you know that you’re supposed to see your dentist at least every 6 months for routine preventive maintenance on your teeth? If you have gum disease or other oral health issues, it may be important for you to see your dentist as often as every 3 months. These trips are all about preventive dentistry: cleanings, cavity checks, x-rays, and more can all be performed as preventive dentistry when you come into the office for a routine checkup. Every wondered more about preventive dentistry? We’ll answer a few common questions involving the process this week! Why do I need preventive dentistry? There are a couple of answers to this question. First, regular cleanings and checkups will help prevent the plaque buildup that can cause cavities and other health issues. Second, for children, lack of preventive dental care can cause problems with growth and development. Seeing your dentist once every 6 months or so should help with this. What does preventive dentistry include? While regular cleanings and visit to the dentist are a main source of preventive dentistry, a lot of preventive dentistry happens at home. You should brush at least twice a day and floss once a day. It’s also recommended to swish with a mouthwash that helps prevent cavities and has fluoride. 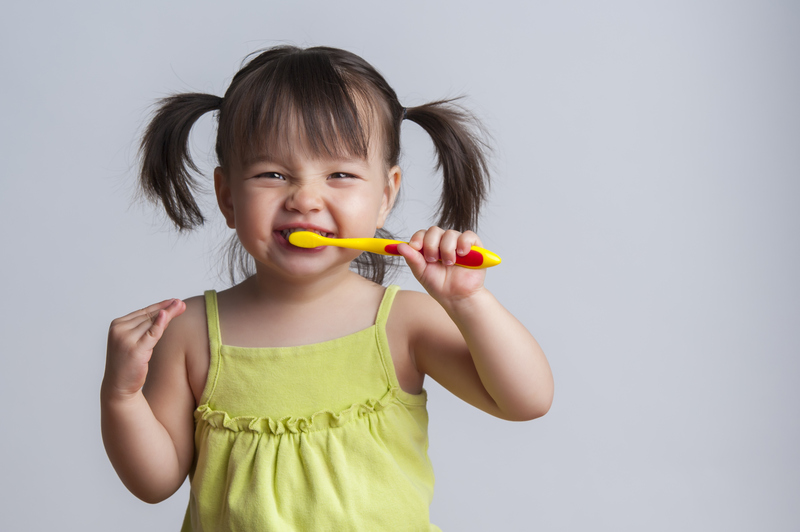 For children, you should start brushing their teeth and having them see a dentist shortly after their first teeth come in. What are the benefits of preventive dentistry? You may not know this, but the health of your mouth and your teeth can affect your entire well-being. The plaque that sticks to your teeth is the same plaque that can stick to the walls of your arteries and cause blockages that can lead to heart attack or stroke. Practicing preventive dentistry can help prevent plaque from getting to these parts of your body. Preventive dentistry also promotes a white, healthy smile that can help you with confidence and self-esteem. A healthy mouth can do a lot for you! In order to keep your mouth healthy, you can also eat foods that are low in carbohydrates (which cause the plaque that sticks to your teeth), brush after every meal, and make sure you have fluoride in your water. Home care and in office care are both important. You shouldn’t neglect either, starting from childhood and carrying right on into older age. Leikin & Baylin Dental Care of Catonsville, Maryland offers family dental services for your whole family. If you have any questions about Catonsville preventive dentistry, or wish to schedule an appointment, please contact Leikin & Baylin Dental Care of Catonsville, Maryland by calling 410-747-1115 or visit CatonsvilleDentalCare.com. This is a question that many people ask. For those who have a fear of the dentist, the idea of getting dental work done for cosmetic purposes can seem really foreign or completely out of the picture. It may surprise you to know that there are not only a host of social benefits to getting cosmetic dentistry, but also many health benefits. If you find that your teeth are a shade that you don’t like, different shapes, crooked, or some teeth are missing, you may want to consider all of the benefits of cosmetic dentistry. It could seriously benefit you to have a cosmetic dentistry procedure performed. Check out the different advantages! Confidence – If you opt for teeth whitening, straightening, or veneers, it could give you a noticeable confidence boost. Walking into a room with a straight, white smile will make you feel way more confident than the alternative. Getting your teeth professionally taken care of will make you feel better all around. Career Opportunities – Employers want to know that you value your hygiene and take good care of yourself; after all, you’re going to be working for these people. If you have a straight, white, confident smile, you’re likely to walk into an interview with your head held high. Studies show that people who take better care of their teeth have better chances in interviews as well as social situations. Increased Hygiene – This is one of the great health benefits of cosmetic dentistry. Once you’ve put the time and money into making your smile what you want it, you’re going to have the motivation to maintain it. You’ll be more likely to spend time brushing, flossing, and rinsing than you usually would. A strong oral health care routine is important for your overall health; cosmetic dentistry can help you achieve that. Headache Relief – Believe it or not, but your misaligned teeth can cause severe headaches, as can bruxism. If you have either of these problems and have developed headaches, cosmetic dentistry or dental appliances can help to fix them. Any bite that is not normal will cause you headaches and tooth pain. Never write cosmetic dentistry off as a simply aesthetic change; it can also help you improve your health as well as your social confidence. If you have any problems that can be addressed by cosmetic dentistry, you should contact Leikin and Baylin Dental Care. Leikin & Baylin Dental Care of Catonsville, Maryland offers family dental services for your whole family. If you have any questions about Catonsville cosmetic dentistry or wish to schedule an appointment, please contact Leikin & Baylin Dental Care of Catonsville, Maryland by calling 410-747-1115 or visit CatonsvilleDentalCare.com. Your family dentist is around to help take care of your teeth. It’s important to get preventive dentistry at least every 6 months; this usually involves a routine checkup and cleaning. However, your dentist can only do so much. The majority of the care of your mouth needs to be taken care of home. You should develop an oral health care routine that you can easily follow and make a point to perform every day. Everyone is a little bit different as far as their oral health care needs go, but there are some things that remain the same no matter what. The following list will give you some ideas for what your oral health care routine should look like. Brush and floss – This is the old fallback for oral health care, but it can’t be stressed enough. You should brush your teeth at least twice per day (though it helps to do it after every meal) and floss once per day. Just engaging in these two activities can help you keep your mouth healthy. One thing you should always make sure of, though, is that you’re using a toothpaste with fluoride in it and a soft bristle toothbrush. These are the most gentle on your teeth, while still providing the clean that you need. Eat healthy and well – The foods that cause cavities are the same ones that can cause heart disease and obesity. Carbohydrates and sugars will stick to your teeth and cause plaque buildup that can be hard to remove with just a toothbrush and toothpaste. Eating healthy foods, like fruits and vegetables can help with this. You should also limit snacking between meals and ideally brush after you eat. Use an oral rinse – Regular mouthwash will usually do the trick, but you’ll find that there are many oral rinses that include fluoride and whitening properties. These are some of the best to use for your teeth and will help you maintain both good breath and good oral hygiene. Bad breath can be caused from problems like sinus drainage, gum disease, (and the obvious) smelly food. Taking care of your teeth at home is an important job. Your family dentist will be able to tell whether or not you’ve been following a good oral healthcare routine at home. If you haven’t, it can cause complications such as cavities, tooth decay, and mouth pain. Leikin & Baylin Dental Care of Catonsville, Maryland offers family dental services for your whole family. If you have any questions about oral hygiene or wish to schedule an appointment, please contact Leikin & Baylin Dental Care of Catonsville, Maryland by calling 410-747-1115 or visit CatonsvilleDentalCare.com. Invisalign is the no pain, no ‘ugly metal in your mouth’ alternative to braces. 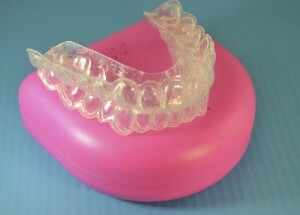 Invisalign is almost invisible and it will align your teeth perfectly. Of the many benefits of Invisalign, one of the main ones is that you don’t need to wear metal braces. Not only is it more aesthetically pleasing, it is more comfortable as well. Invisalign is also worn for a shorter period of time than traditional metal braces which will give you a beautiful smile quickly. Invisalign can also help you speak better. Your ability to pronounce words properly is largely determined by the position of your teeth. For example, if your two upper front teeth are too long or if you have an open bite, you may lisp or have difficulty to pronounce certain words, or even whistle a little bit as you speak. Invisalign is a great way to keep your smile looking great for the rest of your life. 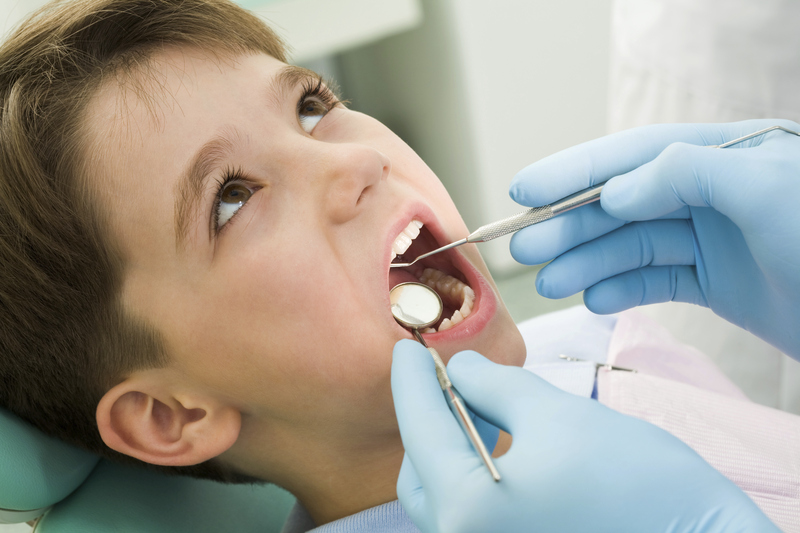 What Causes Cavities and How Can They Be Prevented? Leikin & Baylin Dental Care of Catonsville, Maryland offers family dental services for your whole family. If you have any questions about oral care or wish to schedule an appointment, please contact Leikin & Baylin Dental Care of Catonsville, Maryland by calling 410-747-1115 or visit CatonsvilleDentalCare.com.